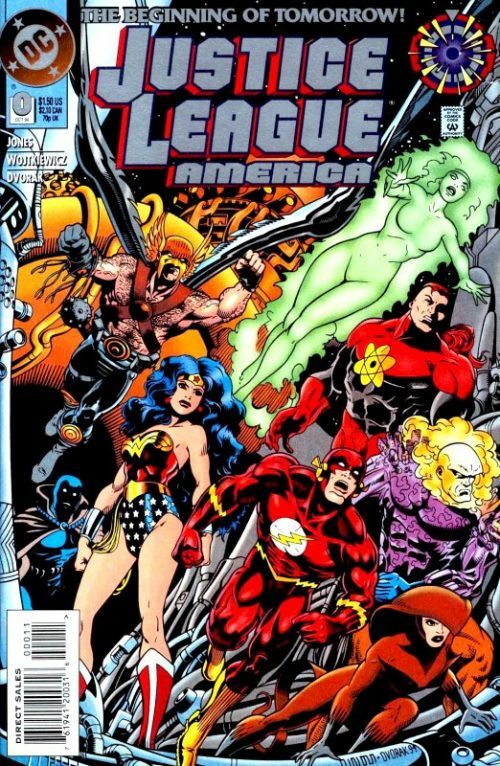 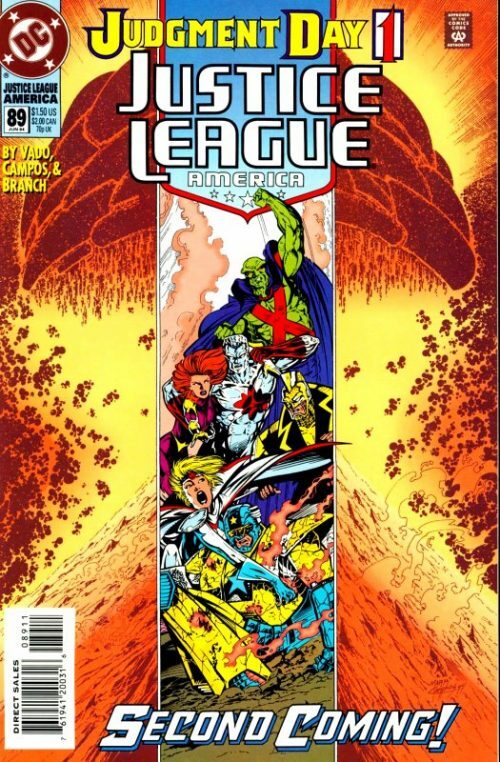 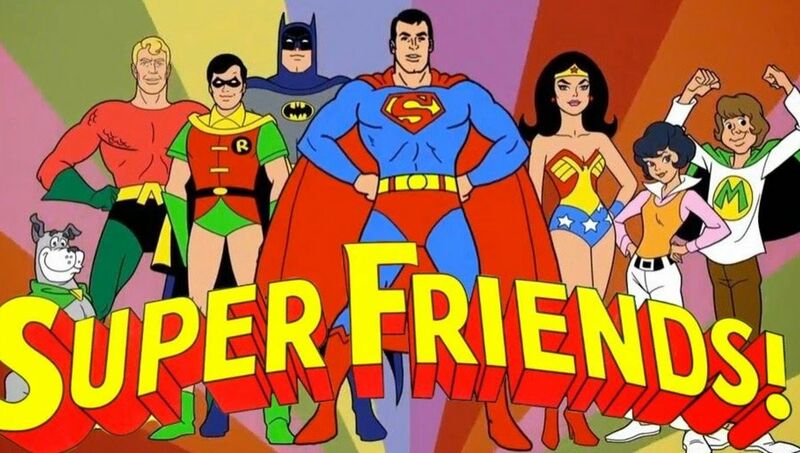 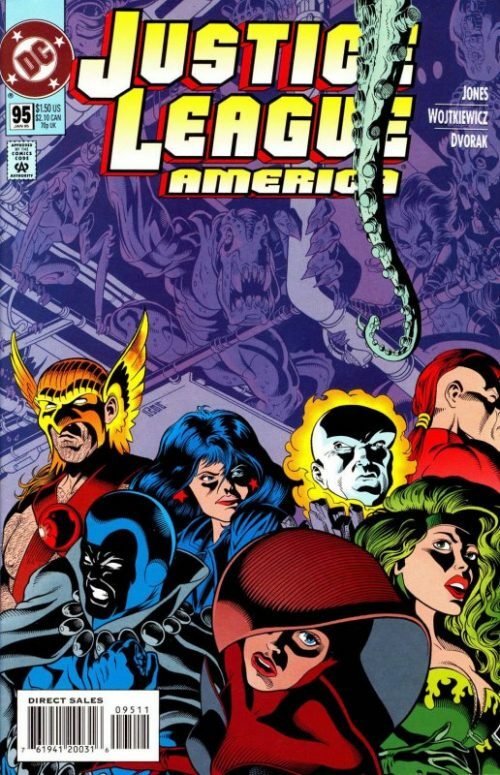 This title was known as “Justice League” for issues 1-6, then changed to “Justice League International” for issues 7-25 and finally changed to “Justice League America” for issues 26-113! 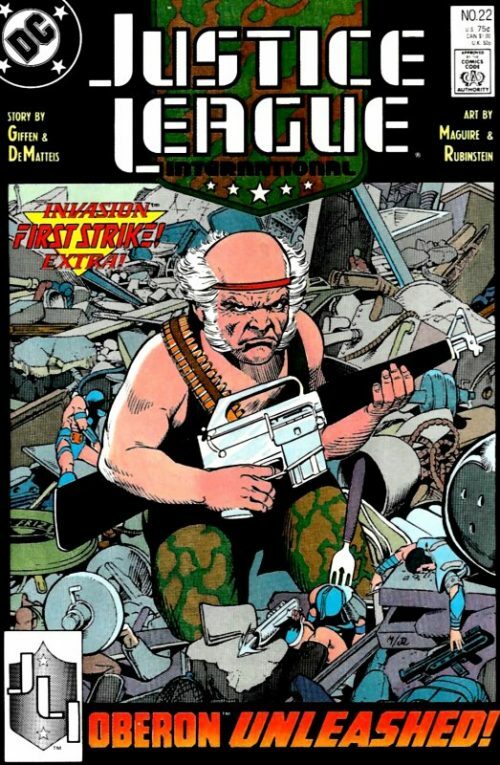 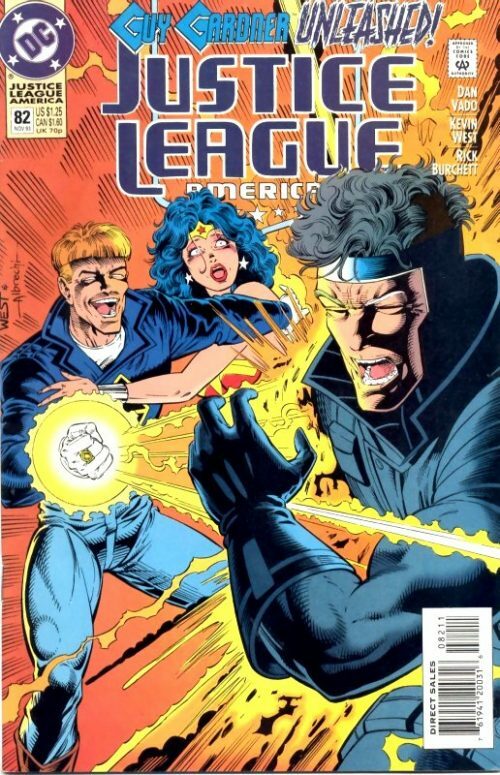 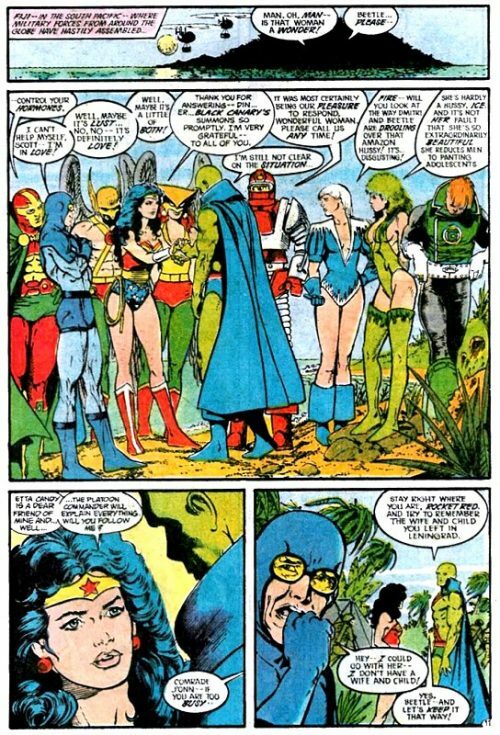 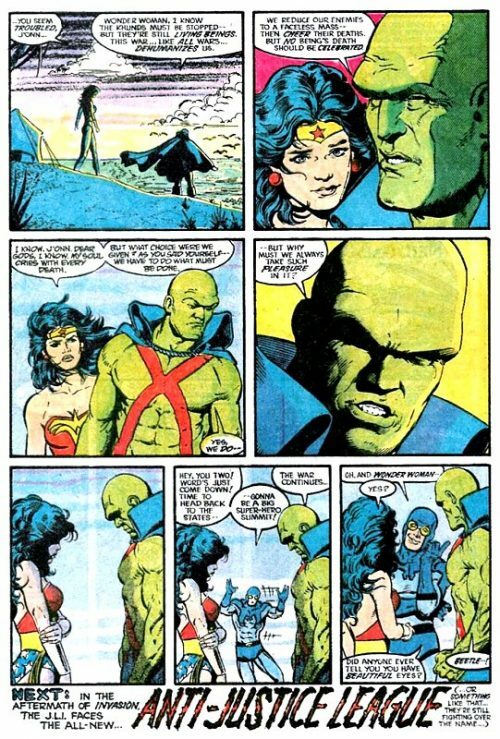 This issue ties in with the “Invasion” crossover during which Diana had her first opportunity to meet the other heroes of Patriarch’s world. 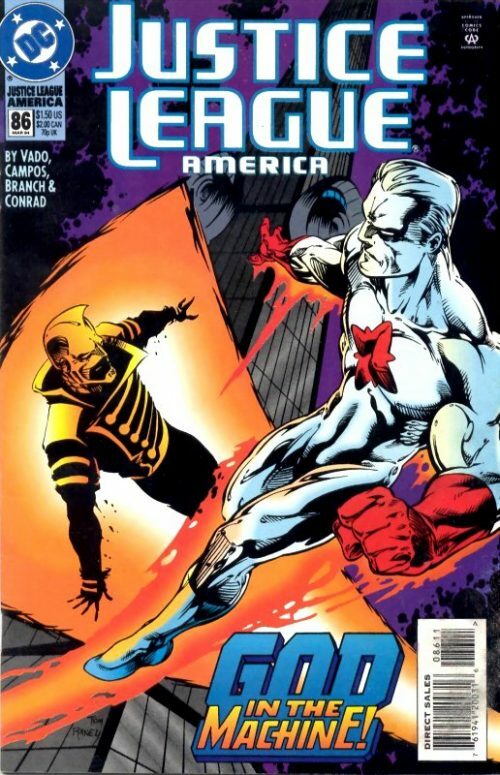 Oberon fights invading Imskian-shrunken Khunds in the JLI HQ while the heroes, joined by Wonder Woman, battle a Khund invasion fleet.